Story Stage is a collaborative interactive and highly creative puppet-based literacy resource encouraging groups or pairs of children to work together around a computer to create their own imaginative retellings of traditional stories. 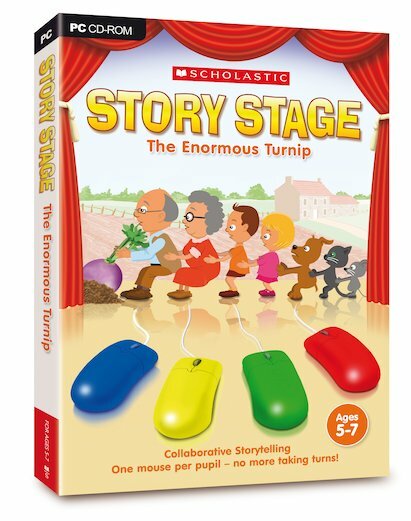 Each CD-ROM offers a different storytelling environment in which up to four children can contribute equally during planning, rehearsal and performance of their work… with each pupil using their own mouse. Can more than one pupil really work on Story Stage at the same time? Yes! Story Stage is an innovative new product that enables up to four pupils to work on the same PC at the same time. Each pupil can interact with the Story Stage content (puppets, props etc) using their own mouse.